A sad fact of life is that there are many widows and orphans in the world. In some countries, they are well cared for. In others, they are left to fend for themselves. However, what many people do not realize is that Christians are called to have an active role in providing for widows and orphans. What does the Bible say about widows and orphans? 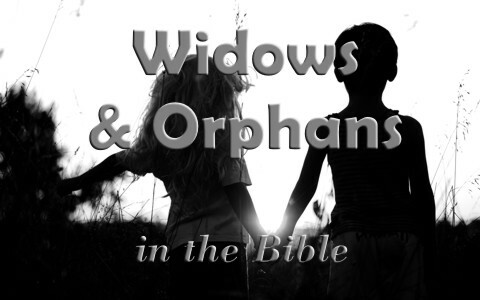 What is a widow and an orphan? A widow is a woman whose husband has died and she has not remarried. An orphan is a child whose parents are dead. The two are identified as being vulnerable because in many cases, they are unable to provide for their own needs. There needs to be consideration of the fact that many orphaned children or fatherless children need to grow up in loving Christian homes. The first mention of a widow is seen in Genesis 38 when Judah, one of the sons of Jacob, had his evil firstborn son, Er, struck dead by God. This left Er’s wife, Tamar, as a widow. Since she had no children, Judah told his son, Onan, to conceive a child with her. Onan deliberately did not complete the task so he was struck dead as well. In the meantime, Judah did not take the responsibility of caring for Tamar, but instead, sent her to her father’s house until such time as Judah’s younger son was old enough to provide her a child. Unfortunately, Judah does not keep in contact with Tamar, nor does he provide his son for her when he was of age. The next thing that happens is that Judah’s wife died and upon hearing the news, Tamar takes drastic action to reestablish contact and expose Judah’s wretchedness. When thou cuttest down thine harvest in thy field, and hast forgot a sheaf in the field, thou shalt not go again to fetch it: it shall be for the stranger, for the fatherless, and for the widow: that the LORD thy God may bless thee in all the work of thine hands. When thou beatest thine olive tree, thou shalt not go over the boughs again: it shall be for the stranger, for the fatherless, and for the widow. When thou gatherest the grapes of thy vineyard, thou shalt not glean it afterward: it shall be for the stranger, for the fatherless, and for the widow. And thou shalt remember that thou wast a bondman in the land of Egypt: therefore I command thee to do this thing. Does the New Testament say anything about widows and orphans? In recognition of the poverty of widows, Jesus used the example of a widow that gave two mites, all that she had, as a demonstration of sacrificial giving in Mark 12:41-44. We learn in other places in Scripture that the church took care of widows (Acts 6:1-7). This was accomplished through the creation of deacons. The result of this was that the Lord blessed the widows and the church. We also see that widows were encouraged to remain single so that they could serve the Lord (1 Corinthians 7:7-9). However, God also worked out which ones were to be provided for by their families and by the church as well as an age consideration to receive care (1 Timothy 5:3-16). Sadly, today, it is not common for many churches that have any kind of care outreach to widows. This is also demonstrated by the fact that many widows seek Biblical counseling because they are often abandoned by everyone in their church in addition to their families, especially when they have no transportation. This results in financial difficulties and loneliness because they have lost all fellowship with any believers. In one case, a church would not provide any assistance to a widow despite having no family around and because she had been divorced when she was many years younger. The church leadership told her that she did not qualify for help because the husband that died was not her first husband. Sadly, her first husband was nowhere to be found and remarried. Needless to say, her relationship with her church was essentially destroyed. Finally, it is very evident that the Lord places great value on children. Fortunately, local churches and Christians are more responsive to their needs. Many believers serve as foster parents and adopt these children. Today, we also encounter many children that do not have fathers in their lives. However, more can be done. There needs to be consideration of the fact that many orphaned children or fatherless children need to grow up in loving Christian homes. If not, their lives can be severely impacted without a Biblical influence and Christ centered parenting based on love. (See Zechariah 7:10; Malachi 3:5; and James 1:27). A sad fact of life is that there are many widows and orphans in the world. Some are cared for and some are not. The Bible has a lot to say about widows and orphans and places great importance on their provision. Unfortunately, many local churches and individual believers do not engage in caring for widows and orphans. Needless to say, as we get closer to the Lord’s return, we must take note that we will all come to the realization that we should have done more. Let us pray for those that do and that we can make caring for widows and orphans a higher priority. Previous post: Why Do Angels Exist? Next post: What Does The Alpha and Omega Mean When Used In The Bible?